This is our most popular plan for women over 170 pounds and men alike. It is packed with healthy and filling foods, unlike some other diet plans that are available on the internet. It is simple, downloadable, and printable. Please pay attention to your body’s signals, and stop if anything does not feel right. If you need more energy, add more fruit and vegetable calories as needed. What does it look like to Eat 1500 Calories A Day to Lose Weight? To get a real idea of what 1500 Calories a day looks like, see the plan below. 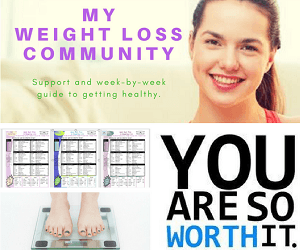 If you are over 150 pounds, you will lose weight with this diet. If you are under 150, you may need to reduce to a lower calorie diet to see results, unless you are adding in more activity. 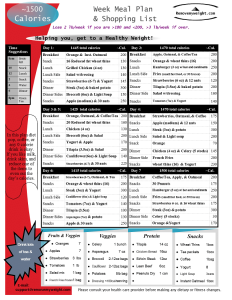 Please see our Daily Calorie Needs Calculator. 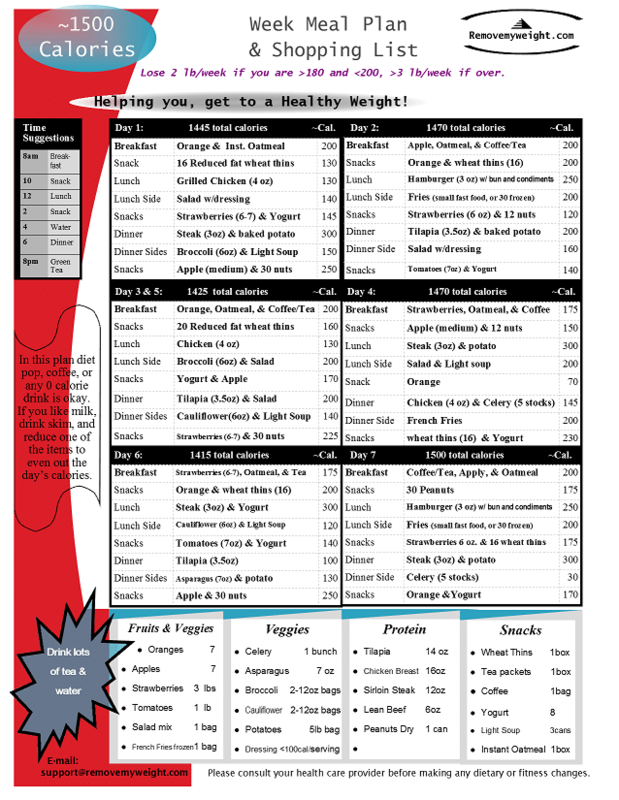 Please refer to our suggested daily diet chart to choose the best diet menu plan for you. That is all you need to plan a week of eating 1500 calories A day to lose weight. Ensure you drink plenty of water – aim for 8-10 glasses per day.